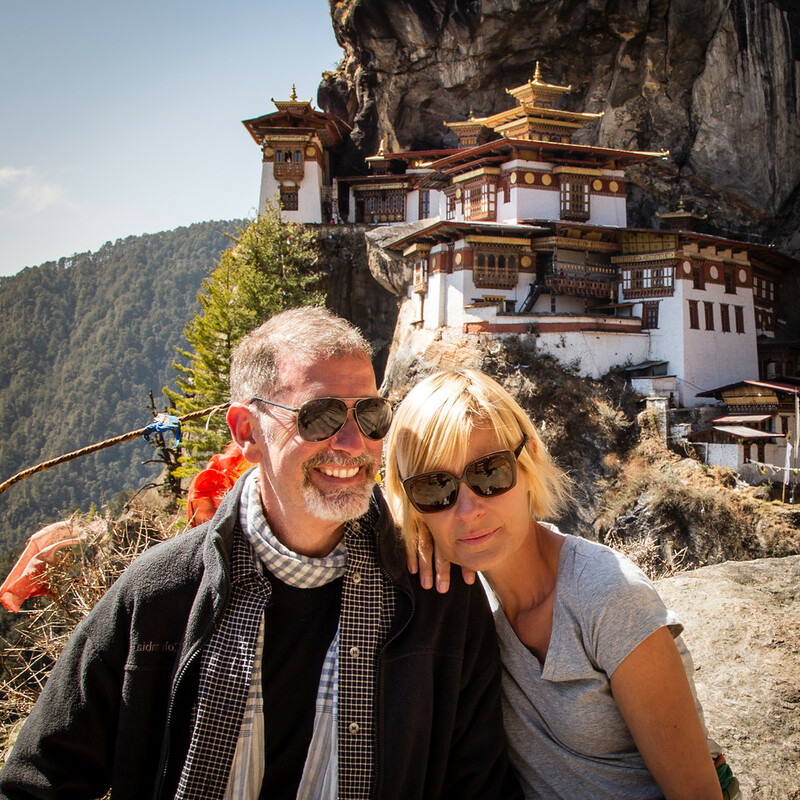 Today, I am thinking of our hike to Tiger’s Nest Monastery in Bhutan. While pondering where to take Angel, our rescue dog for her walk, Jonathan and I started reminiscing about some of the walks that we have taken together – the Camino de Santiago, climbing Mount Batur in Bali to watch sunrise, the Tiger Leaping Gorge in China but one that stands out is the hike up to Tigers Nest Monastery in Bhutan. 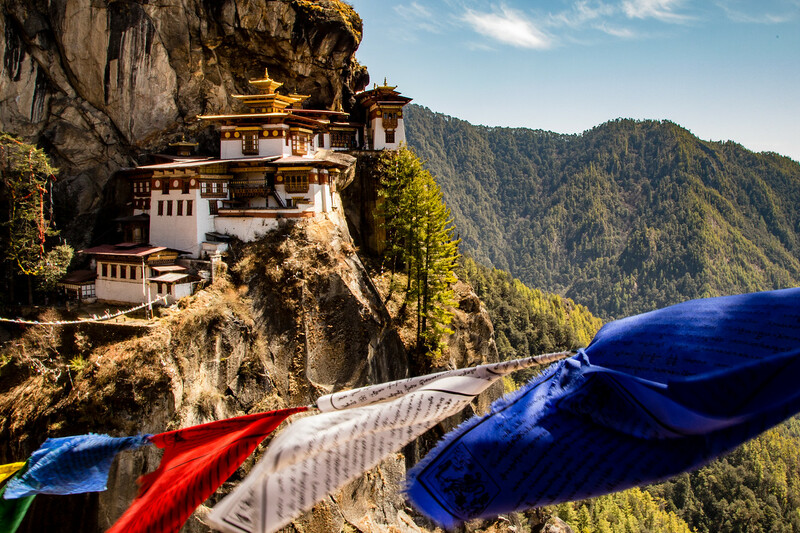 The Tiger’s Nest Monastery (also known as Paro Taktsang) is one of Bhutan’s most recognised sites and a must-see and a must-do for everyone visiting this country. Also known as Paro Takstang, this sacred Buddhist site consists of four temples plus accommodation for its resident monks. Yes, it’s still an active monastery. The mules cost about $20 and take about two hours to go up the mountain but not all the way. You would still have to walk the final path to the temple. The thought of riding a mule seemed more scary than walking, so off we set by foot and you know what, it wasn’t as hard as it looked. Anyone with a reasonable amount of fitness could easily do the hike; some guidebooks say to allow 3-4 hours to do the climb. We made it easily in two. 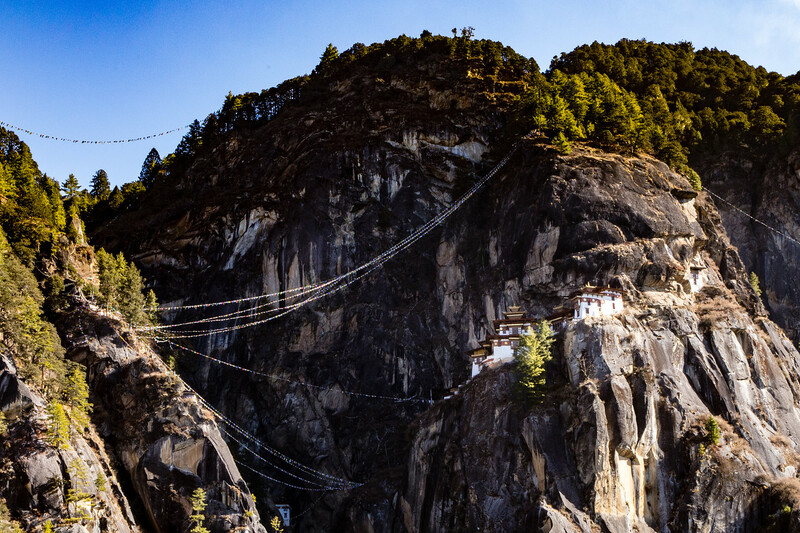 The hike to Tiger’s Nest Monastery starts at the base of the mountain which is located at 7000 feet. Don’t worry, as almost every tourist visiting will be part of a tour, this hike takes place on one of the last days of your trip, so you will already be acclimatised. As you walk up the wide mountain path, there is Tibetan Buddhist paraphernalia everywhere. Tibetan flags are flapping in the wind, and the shrines and stupas we pass are stunning. Despite being uphill the whole way, it’s not overly steep, and there are plenty of places to stop and just admire the view. There is a cafe serving refreshments and a vegetarian lunch half way up to Tigers Nest Monastery that offers great views of the mand for many people, this is as far as they go. From here, the path narrows as it snakes its way around the mountain to the monastery. Even for someone like myself, who freaks out at heights and narrow paths, it wasn’t scary, and to come this far and not visit the monastery, well that would be daft; although Jon does make me nervous as he always stands far too close to the edge for that perfect photo! We spent an hour exploring the temples; our guide Norbu was very knowledgeable. Every room was very ornate and filled with Buddhist deities and offerings of fruit and money. Unfortunately, photography is not allowed inside the temple. From here, it’s all downhill in a good way. On the way down, we took a welcome break at the cafe before heading back via the many trinket stalls to where our driver was waiting. If you want to take a mule up, it’s best to book in advance. Let your guide know. That brought back a few memories, thanks so much ! The Tiger’s Nest is a great hike and indeed Bhutan is a great country and I would recommend a visit to anyone if they fancy something a bit different, well, very different I should say ! 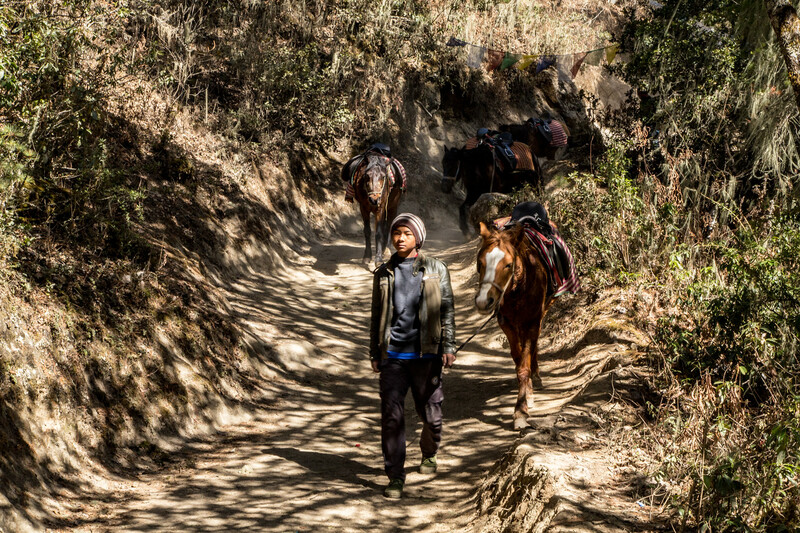 We managed this walk in 23 minutes which my guide Namgay reckoned was a record – but I wouldn’t go that far ! As this article says it’s not too difficult but do follow those Top Tips given. 23 minutes! Wow, that is impressive. Great job, keep up the good work. Thank you! Bhutan makes it easy. OK, so that is for sure being added to our bucket list along with the Tiger Leaping Gorge. We are in the process of making the transition to full-time travelers, so Jonathan’s website was such a neat thing to uncover today! Thanks for the inspiration Jonathan. Thank Eddie! Travel is one thing I can’t get enough of. I am currently in Egypt so maybe you will have a few more things to add to your bucket list sooon. I am loving it. You are so lucky to have an opportunity to go to Bhutan, really an impresive place. I agree! It was amazing.